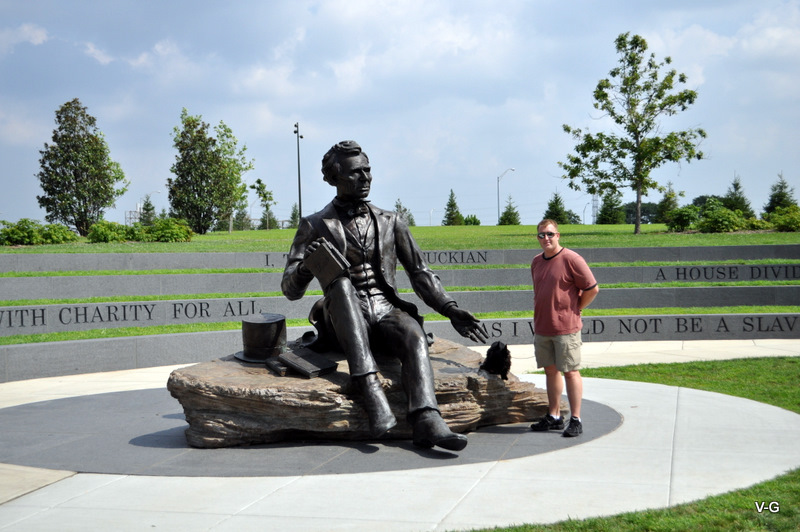 We had some time to track down an Abraham Lincoln monument when we were in Louisville. 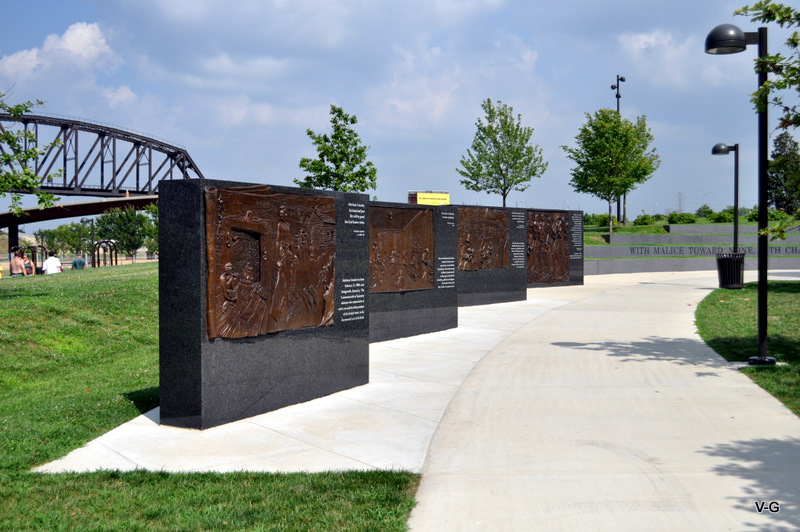 It is located in the riverfront park; which by itself is wonderful. Full of fountains, art and open fields it’s easy to find a spot of peacefulness in the city. The Lincoln Monument is located in the newer section and contains an amphitheatre. It is a lovely tribute but I am not a fan of the sculpture. For starters the status features Kentucky’s native son as a young lawyer. 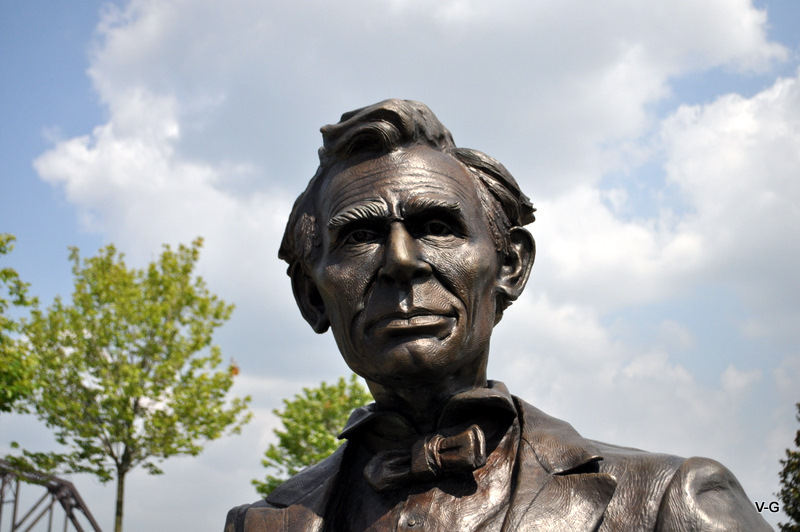 Lincoln left KY at age 9. He did not practice law there but it was the loss of his mother and the hard life on the frontier that shaped him. I don’t think it is a real tribute to what Kentucky gave Lincoln. We had some fun playing around but with there being hardly a shade tree in site I would not pick this as a spot to come for reflections. Kind of nice when you are going there to shoot photos. 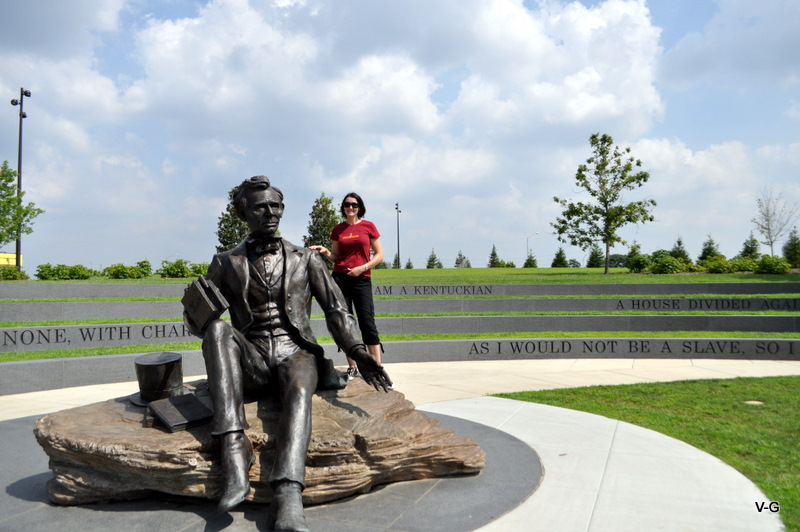 I have been able to see a number of tributes to Lincoln all over the country, including the unveiling of one in Rockford, IL. I am just not a fan of this one. Pippi is the best part of this one. 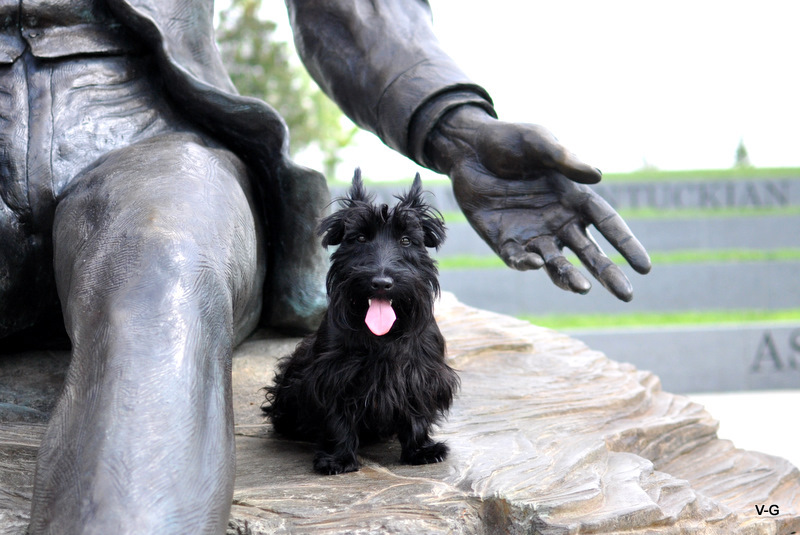 Honest Abe Lincoln sure looks a serious guy but the little Scottie next to him looks happy AND cute. She glad her peeps are reunited I guess. Hiya Pippi! You lookin’ well. Hope your people are ok and their hooman papa, Randy continues to improve. Really sad to hear ’bout the internal injuries. Tell your mom she not to worry too much (if she can – it hard, our hooman knows).